Photo: Jane Cockman. CC-BY-NC 2.0 (cropped). Bumblebees exposed to controversial pesticides collect just half the pollen they would otherwise harvest, according to new research, depriving their growing young of their only source of protein. The work has been hailed as important by independent scientists because it sheds light on how the neonicotinoid pesticides can harm bees. A two-year EU ban of three neonicotinoids, the most widely used insecticides in the world, began in December, following research that showed harm to honey and bumblebees. The neonicotinoids are “systemic” pesticides, being applied to seeds so that the chemical spreads within the plants. Over three-quarters of the world’s food crops require insect pollination, but bees have declined in recent decades due to loss of flower-rich habitat, disease and pesticide use. Goulson’s team tested one of the three, called imidacloprid, at low doses aimed at replicating those encountered by bees in fields. They attached tiny electronic tags to bees so their movements could be tracked and each bee was weighed on its way in or out of the nest. Bees exposed to the neonicotinoid brought back pollen from only 40 percent of trips, while unexposed bees carried pollen back from to 63 percent of trips. Furthermore, exposed bees that did return with pollen carried 31 percent less than unexposed bees. Overall, the nests exposed to the pesticide received 57 percent less pollen. The ability of bees to collect sugary nectar did not differ significantly between the bees. The work is published in the peer-reviewed journal Ecotoxicology. “Even near-infinitesimal doses of these neurotoxins seem to be enough to mess up the ability of bees to gather food,” says researcher Hannah Feltham. Earlier work by Goulson’s group showed exposure to neonicotinoids led to 85 percent fewer queens being produced. The new work suggests a reason why: because there is less food in the nest. Other work showed neonicotinoids seriously harmed bees by damaging their renowned ability to navigate home. 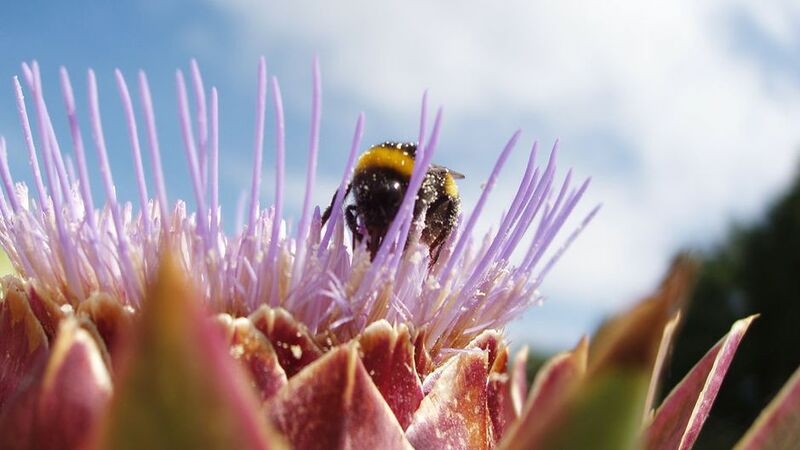 Researchers have argued that conducting properly controlled field trials is difficult, because neonicotinoids are very widely used and bees range over wide areas in search of food. Damian Carrington is head of environment at the Guardian.